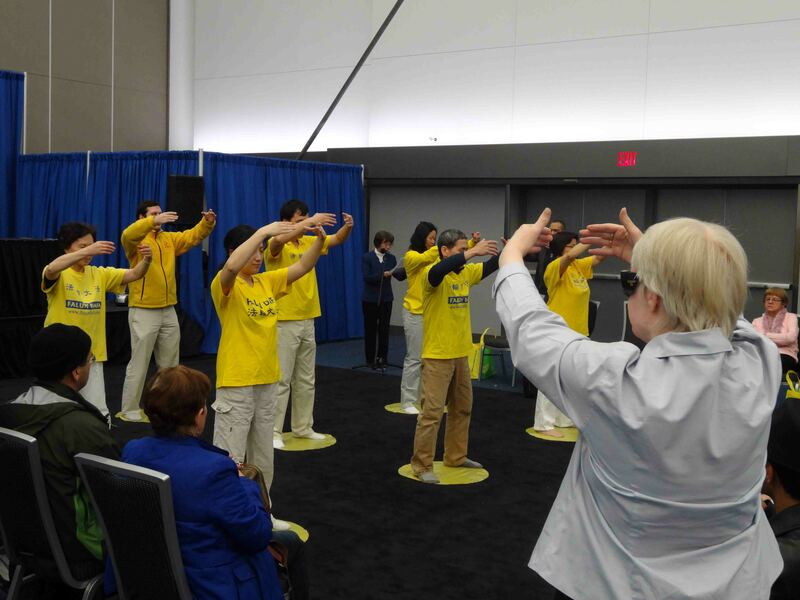 The 21st Annual Wellness Show in Vancouver was held at the International Convention Centre from February 15th to 17th. 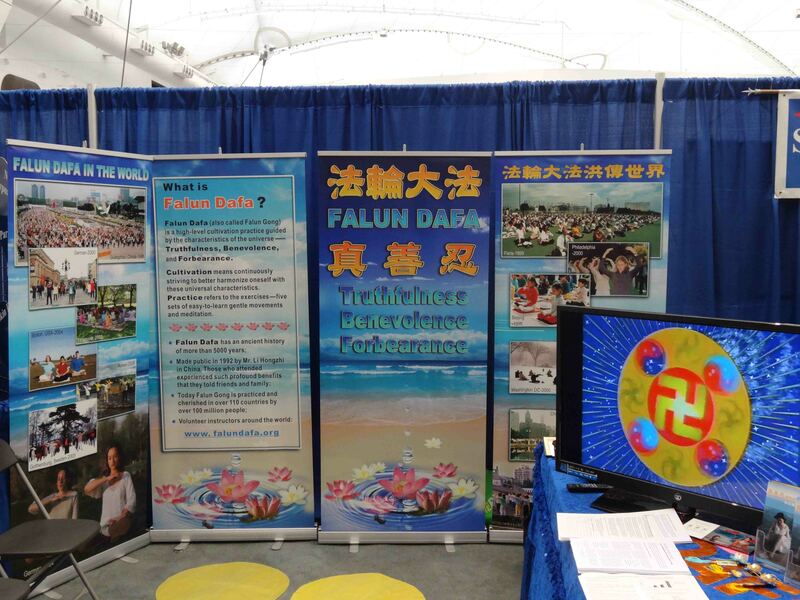 Local Falun Gong practitioners set up a booth at the show and demonstrated the exercises several times each day. Many people learned the exercises and acquired detailed information about Falun Gong. 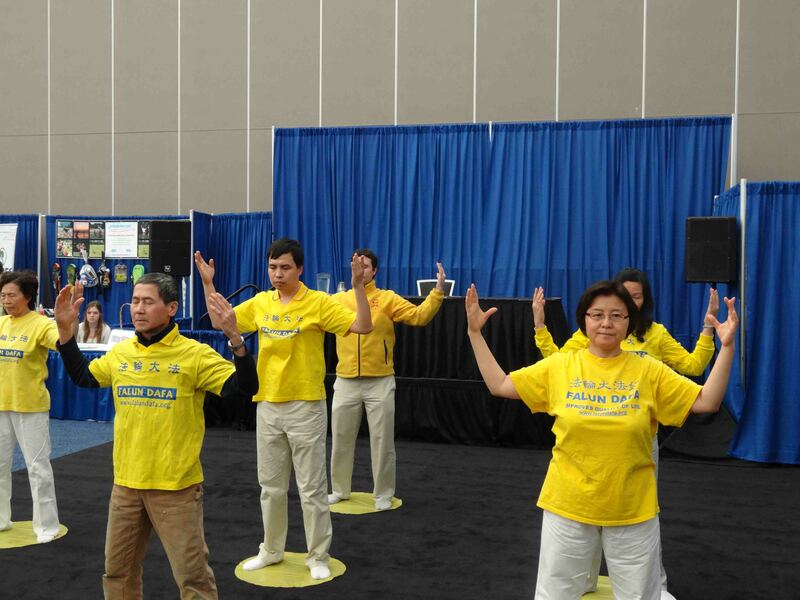 Many people came to learn the Falun Gong exercises. Kelly, a young girl who likes meditation, talked to practitioners for a long time. After doing the exercises for a while, she could sense the purity of Falun Gong. Corah, a businessman, told practitioners that he had already started practising Falun Gong on his own. He wanted to join the group exercises in the park and participate in the nine-day workshop. He signed a petition to protest the persecution of Falun Gong in China. After watching the exercise demonstration for some time, a lady holding a cup a coffee told practitioners that she usually got hyper after drinking coffee, but today she felt calm and relaxed. 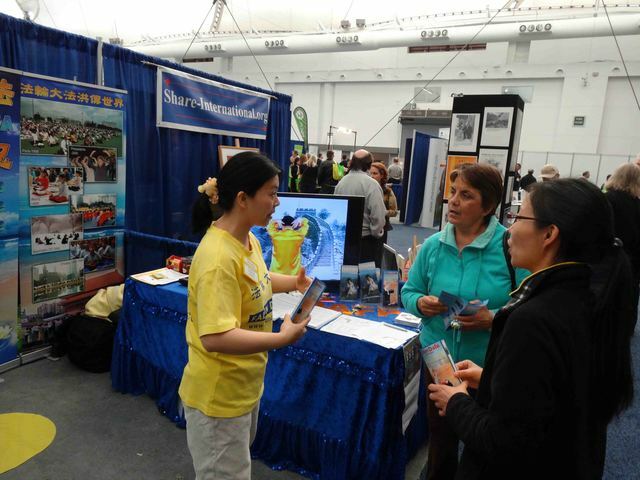 She was amazed by Falun Gong, and wanted to learn it. Several people asked for contact information regarding the local exercise site and wanted to attend the nine-day lecture series. Many tourists knew about the persecution of Falun Gong. They came to the practitioners' booth to express their respect and support. The local TV station took footage of the practitioners' demonstration on February 16th.